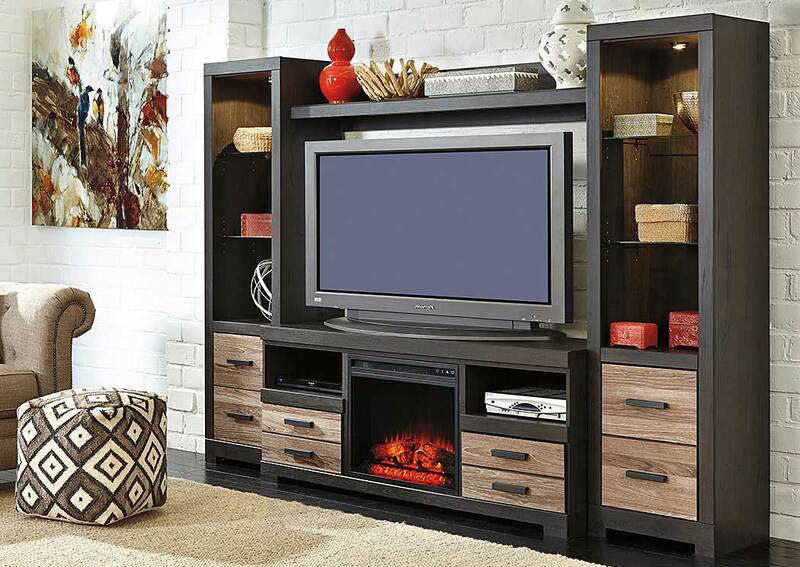 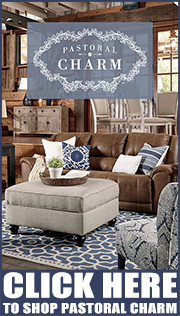 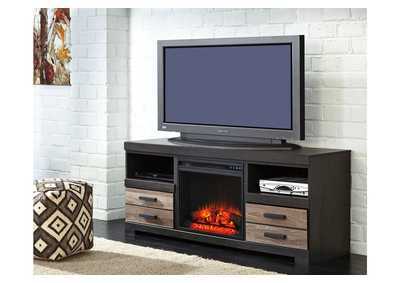 Harlinton entertainment center’s urban sleek lines and two-tone finish fit right in with your big picture scheme. 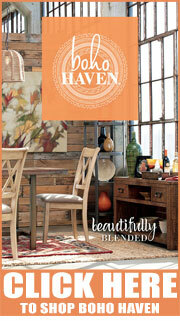 Beautifully “weathered” treatment of the inlaid plank-style boards has a reclaimed quality. 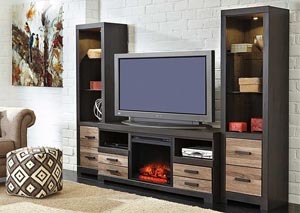 Two lighted piers call attention to the side shelves. 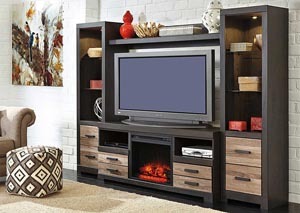 Stow away your media collection and audio-visual essentials in the cubbies, drawers and cabinet space.